Firstly let’s talk about our energy system to work out where emotional energy fits in. Although we have many major and minor chakras we focus on our 7 main chakras. These are the energy centres in our body which energy flows through. They are a whirling power of energy like a vortex. Each chakra is connected to a physical part of our body, which also govern an area of our lives. These chakras run in a line up and down our spine and act as invisible rechargeable batteries, being charged from the energy in the atmosphere. You could call this your inner power line. This energy needs to flow well. If it doesn’t then you feel discomfort such as stress, emotional or physical problems. Your energy system is your personal vibrational frequency. When the energy is flowing well it emits a high vibration. When it is clogged in some way then it attracts other lower vibrations, depleting your emotional energy. Now emotions and words are also energy, which can influence our energy system. Persistent dominant emotions like anger, ridicule and gossip can clog your energy system leaving you feeling anxious, drained and fearful. 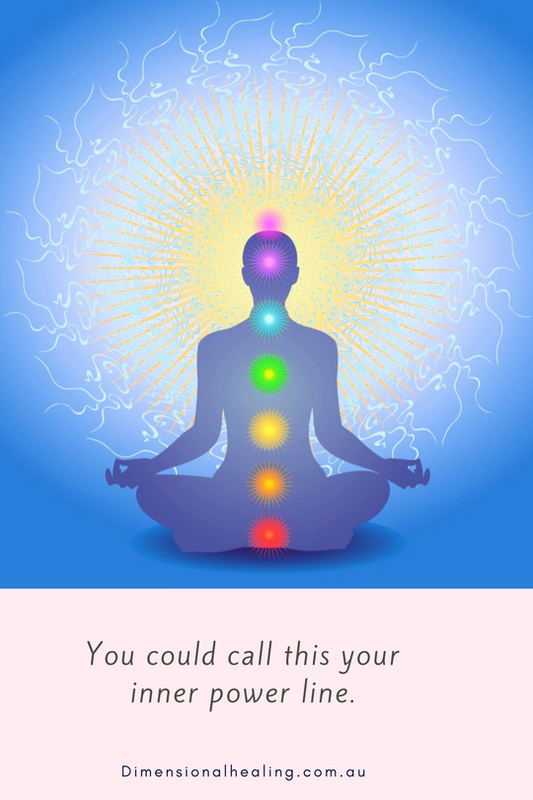 Our chakras emit a vibration that bumps up against other energy in our surroundings. If it bumps against a more dominant energy then it will adjust to match. This is of benefit when its a happy, cheerful energy as it will increase your own vibration. When you have awareness of your own vibration by scanning each morning, you can adjust your energy system through out the day. Our physical energy is tangible. It’s our muscles, bones, organs and more. Our emotional energy is invisible. It’s about how we feel. It is our inner fuel, to get up each day and do what we do. It is our ultimate well being. Learning how to tune into your energy system through your chakras is as easy as setting the intention to do so. Use the colours of each chakra as a focus on energy through foods, crystals and decor. Spend 5 minutes each day sitting in simple meditation imagining you are being washed in the colours of the rainbow.